I'm Not Skinny: Check out my Influenster SpringVoxBox! 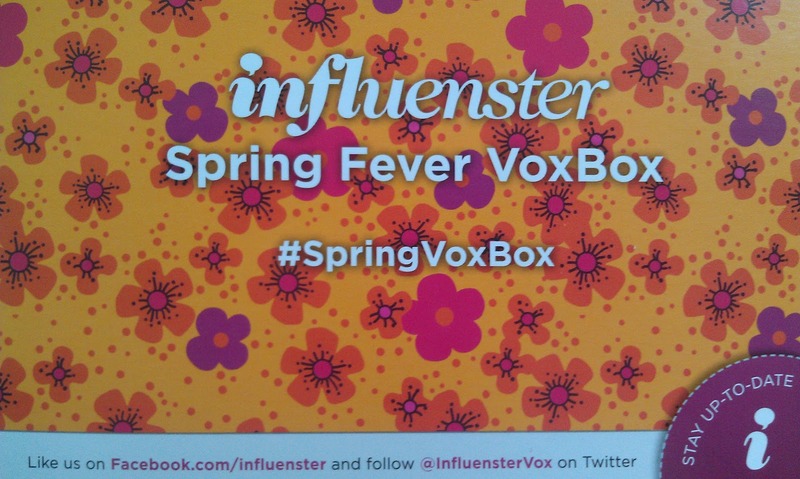 Check out my Influenster SpringVoxBox! I really do love love love trying new beauty products so when my doorbell buzzed today and the postal worker gave me my #SpringVoxBox I was all too excited to grab hold of it and run up to my apartment. To my great surprise I found several really fantastic products inside to try out. I'm really excited about this box! The NYC New York Color Appelicious Glossy Lip Balm is AMAZING. I already tried it out it's beautiful, has a great scent and leaves just the right amount of tint! For those of you who aren't yet on the Influenster bandwagon, be sure to look for your invite, and if you need one you can comment here with your email address and as soon as I have new invites available you'll be the first ones to know! Please note that I got these items to try out for free. I am not being compensated in any other way for them, and my opinions are all my own! Great box of goodies. remember signing up but I never got to explore the site. I got mine too! And i agree with you about the NYC lip gloss, it's definitely worth buying and the Kandy Kakes is very delicious! I'm not really into sweets but this kakes is irresistible. I love when their boxes come. I have found so many products that I now keep on hand because of those boxes. I love the items you received. Those are great goodies to try out. I wasn't able to sign up for this spring box. Exciting. I bet you enjoyed everything in the box. 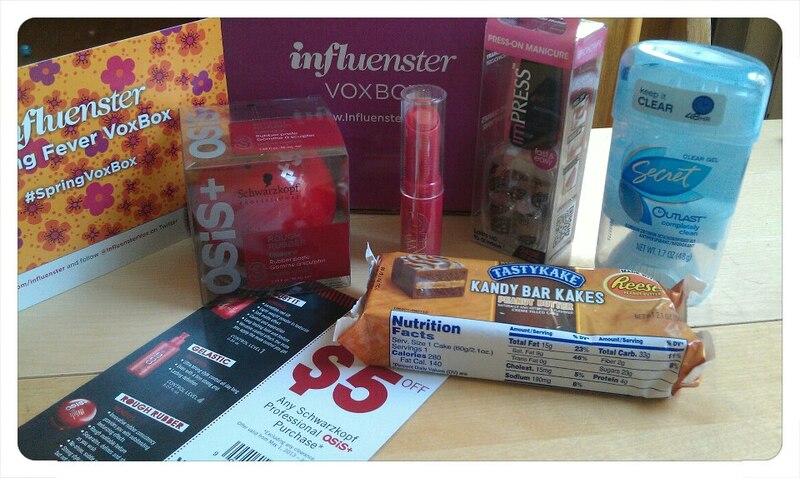 I love influenster. The sweetheart voxbox for me was awesome. Wow that is a really nice box! That's wonderful! You got some awesome goodies. I only got one box so far and I kind of slowed down with the Influenster thing. Fantastic!!! I wish to join but we shall see.